Rothco's Athletic Fit T-Shirt features an updated fit with an insert collar, wider chest and smaller sleeves for a more athletic fit. 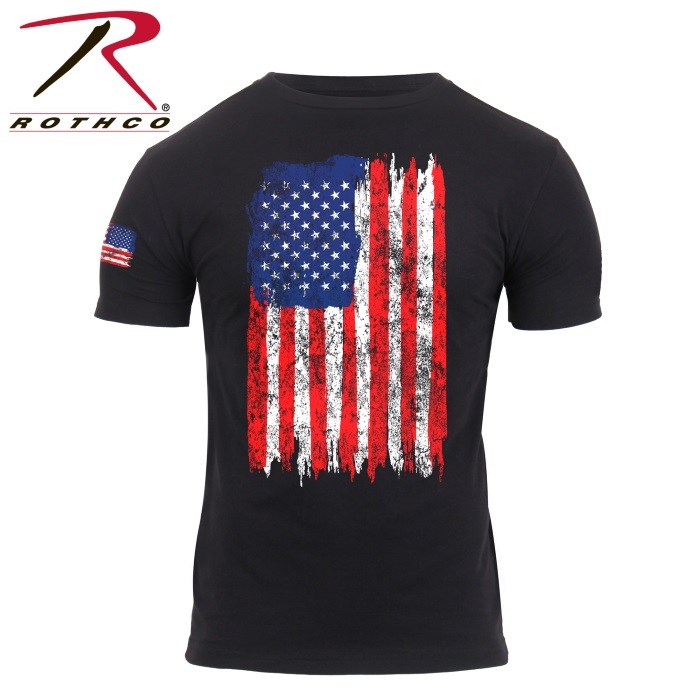 The distressed US Flag T-Shirt displays a white vertical US Flag graphic and a reversed flag on the right sleeve. 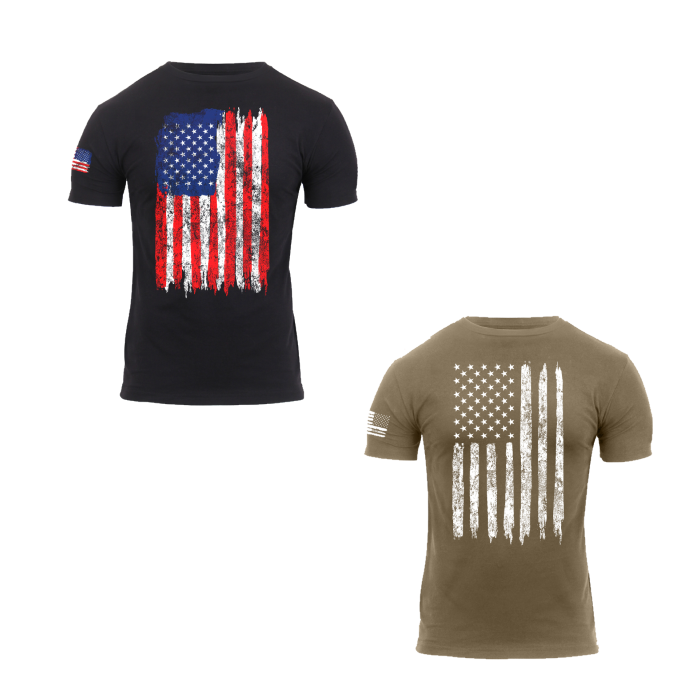 The US Flag shirt is tagless and made from a soft and durable poly/cotton blend. 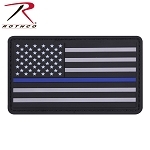 Rothco's Athletic T-shirt is a lightweight cotton/poly blend with a tagless label for added comfort.